You are here: Home / Money / Business / What Are the Best and Worst Ways to Use a Personal Loan? What Are the Best and Worst Ways to Use a Personal Loan? (ThyBlackMan.com) Are you looking for personal loans in California? If that’s the case, you must know some crucial aspects before you take action. Doing your homework about the loan you’re about to take could save you from unpleasant surprises. If you are looking for a loan, what is your reasoning for it? Do you have an emergency, or is it just for entertainment purposes? In the following lines, we are going to take a look at the best and worst ways to use a personal loan. Your house needs to be in top shape at all times. This could include repairing some problems that come up, doing some preventive maintenance and many others. For instance, if there was a flood and your floor and walls were ruined, you have to fix the problem. Therefore, taking out a personal loan for this type of situation is a good idea, because you are taking care of your home. Illnesses or accidents can always take you by surprise. However, you can’t let your illness go by untreated. If the situation is bad, you need medicine and the proper treatment to get well as soon as possible. So, when you are short of money, a personal loan could save you. You will be able to benefit from the treatment you need, and you’ll be on your way to healing. When you’re on your way to work and a tire decides to betray you, there’s no other option than to buy a new one. After all, going to work is important because it’s what generates income, isn’t it? A personal loan could get you the money you need to repair that tire or any other car part. Gambling is not something that’s necessary in order to live, and it can be quite dangerous. Not only that you may end up losing all your money and getting in debt, but you will just feed an addiction. So, never use a personal loan for gambling. Even though you want to shower your loved ones with gifts, don’t let this control you and make you acquire debt. 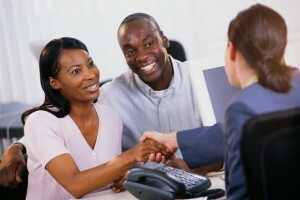 Personal loans are not the best way to show your loved ones that you appreciate them. Once the holidays are over, you’ll be left with the debt. Visiting foreign lands and discovering new cultures is everyone’s dream. Even so, if you must take a personal loan for that, then you should restrain yourself until you get the money through other means. Even though you will enjoy your vacation, once you’re back, you will have the debt dragging you down. To sum up, personal loans can’t be used for unnecessary things, such as vacations, holiday gifts, gambling, and others. You should use them for things that actually matter, such as your car or home. So, before taking a personal loan, think twice about its purpose.